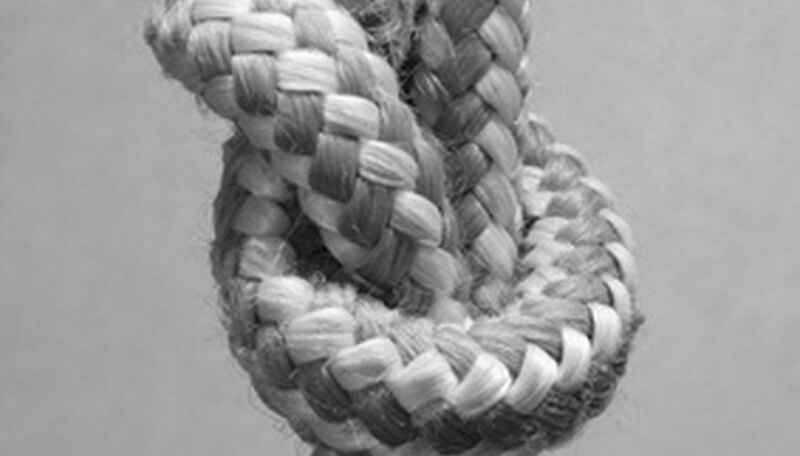 When tying someone's wrists, it's important to use rope made of nylon, silk, or another smooth material. Hemp and other materials can be too abrasive. Tying a knot can be an art form. Fold the rope in half. The doubled rope should be at about 50 inches long. If it's too short it will be difficult to tie, and if it's too long it will be in the way. The folded tip is called the lark's head. Place the person's wrists together with palms facing each other, and wrap the doubled rope around the wrists once. Pull both ends of the rope through the lark's head and then wrap around the wrists in the opposite direction. Stop when there is still enough rope to go around once more. Take the ends, slide them through the lark's head, and then pull them in opposite directions, cross-wrapping them north and south around the layers of rope. Stop when you are almost out of rope. Draw the ends together and tie a square knot in between the wrists. You can also try this technique with the wrists crossed, or placed behind the back. Patrick, Taylor. "How to Tie Wrist Knots." Dating Tips - Match.com, https://datingtips.match.com/tie-wrist-knots-7377928.html. Accessed 18 April 2019.